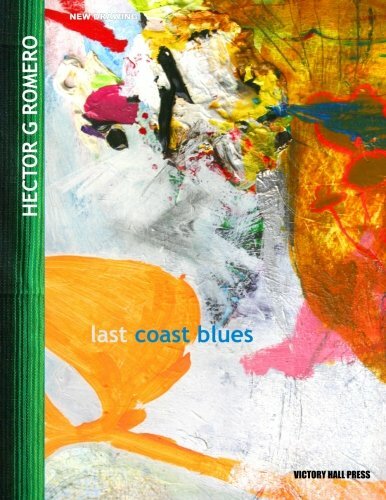 If we consider drawing as a visual language, then Hector G. Romero's are certainly essays, each one frothing over with impressions, unique characters, personal experiences; densely layered, packed together into captivating narratives and executed with a directness and elegance worthy of an ancient Zen calligrapher. These complex combinations of marks and movements, various pencils, and paints, recall elements of graffiti art, surrealism, action painting and comic strip art but create their own, ever-evolving aesthetic form. Hector G. Romero works with many mediums on both canvas and paper. Before his sojourn in Woodside, Queens, he had been painting and drawing in Brooklyn, NY, for 13 years. Previously, he worked in Los Angeles where he received his MFA at UCLA. He was an integral part of the band "The Charles Ray Experience" known for their eclectic sound collage work. His current work can be described as Urban Surrealism, heavily influenced by his New York City environment. Romero now lives in El Paso, Texas.